To create a Wanelo account, go to http://wanelo.com and login with your Facebook or email address. Once you have selected your preferences, and followed three stores and three people, you can set up your profile and then start adding products, curating collections, and creating stories. 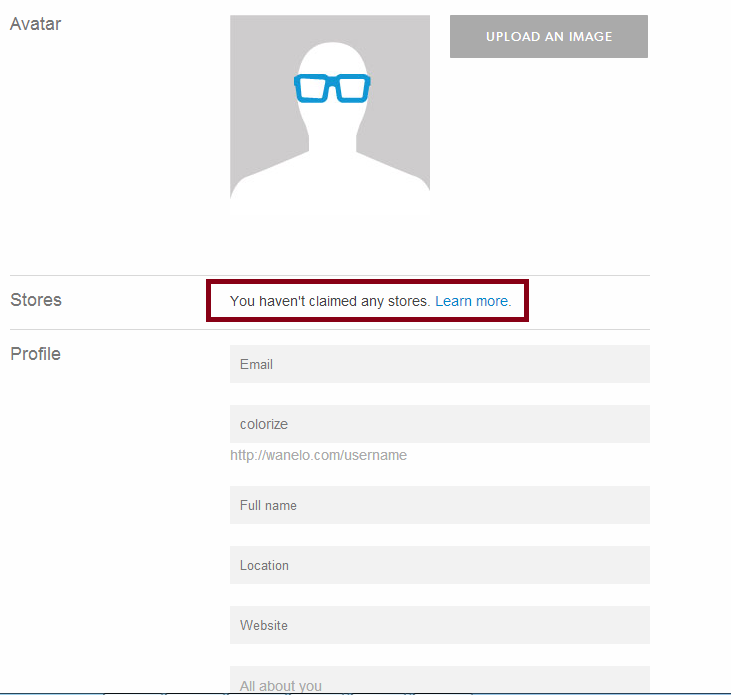 Then fill out all of the sections of the settings page starting by uploading your avatar image. I would suggest to use your logo, one of your favorite designs or a picture of yourself as your image. When filling out the website section, use your personal website or blog if you have one. If not, then I suggest putting your Zazzle store URL. If you have your own website, you can claim your store on Wanelo which will verify you as the owner of your store. In the “All about you” section, please be descriptive and personable, and don’t forget to use keywords. 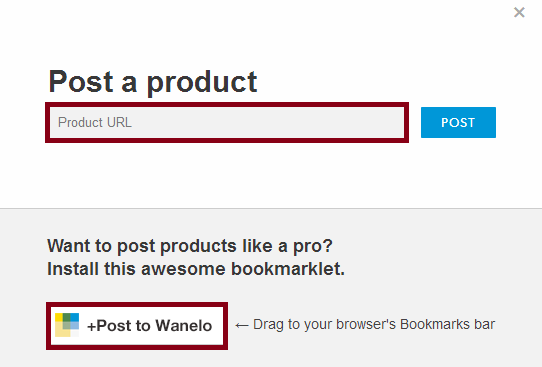 You can post a product on Wanelo by using a product URL, or you can post products on Wanelo by downloading the Wanelo bookmarklet which you can get here. Then you will be prompted to save the product in “Things I want as gifts,” “Epic Wishlist” or create a new collection. Ultimately, it’s up to you to decide how you’d like to categorize your products, but collections are a fun way to show off related or themed products. For example, you can have a “Thanksgiving Collection” with items to use for Thanksgiving, or “Birds Collection” that has only products the birds on them. 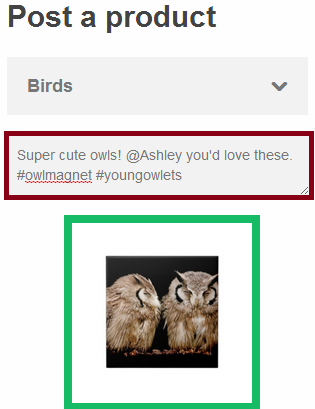 You also have a description area, where you can comment on the item, tag a friend by using the “@” sign, or use a hashtag to make your products more discoverable. 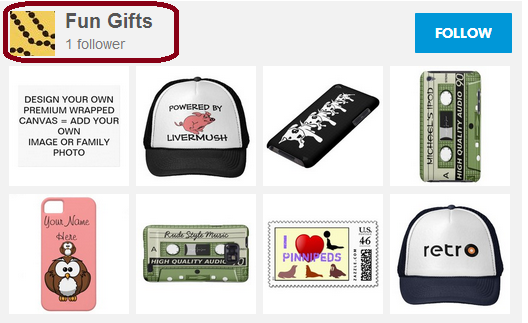 Here is an example of a Fun Gifts Collection by Reflektions, a Zazzle designer. 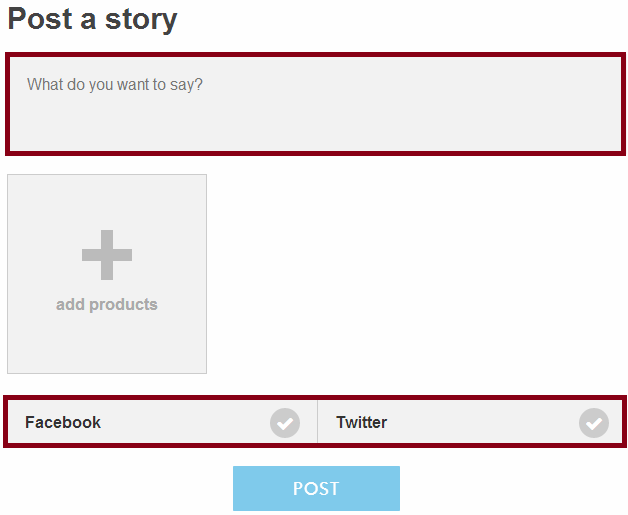 When posting a story, think about your best products and how to group them together. Stories are created from products that are already saved to your Wanelo account; they also have a place for written content and their own “Feed” so they do get more visibility. It’s a fun way to showcase your best items on Wanelo, Facebook and Twitter. 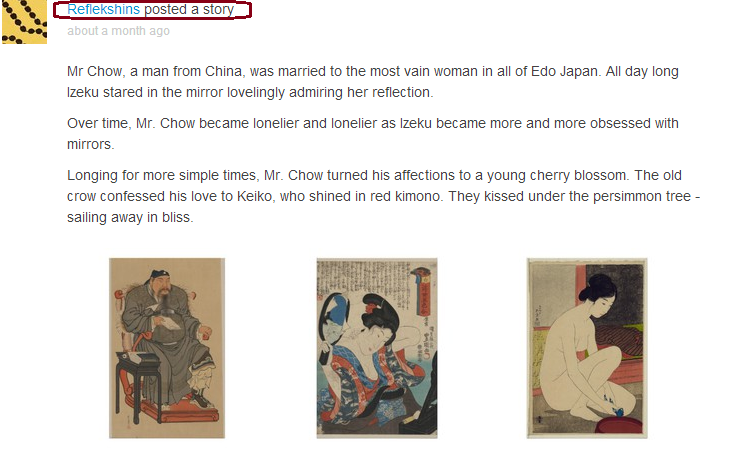 Here is an example of a story created by Reflektions, a Zazzle designer. You can search for products, people and stores in the search bar by keywords or you can search by categories. 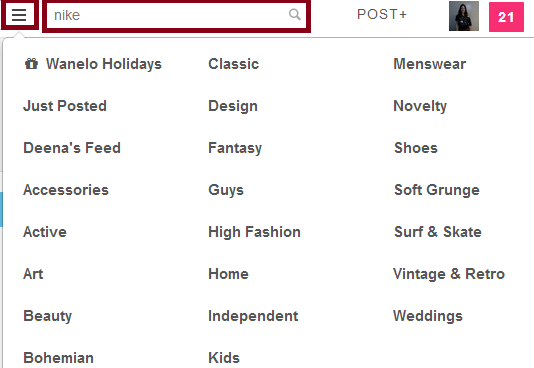 On the right-hand side there is a “More” tab where you can view Top Stores, Top People and Most Popular. It’s good to take a look at these categories and follow and comment stores, people and products that you find there. See what products come up in the “Most Popular” category, what kind of products are they? What comments and hashtags are posted on them? You should also take a look at the “Trending Tab” to see what people are posting and looking at in real time. When you hover over a product in someone’s profile, store, collection or story, you can either save the product to your own profile or tag a friend. It’s a fast and easy way to add products to your wishlist, gifts and collections. Wanelo is a great way to showcase your products in front of a large audience. And now, with this new mobile app update, people will be sharing the products they saved with their friends and family. It’s perfect timing for the holidays to get your products into people’s wishlists, and get them to your stores.